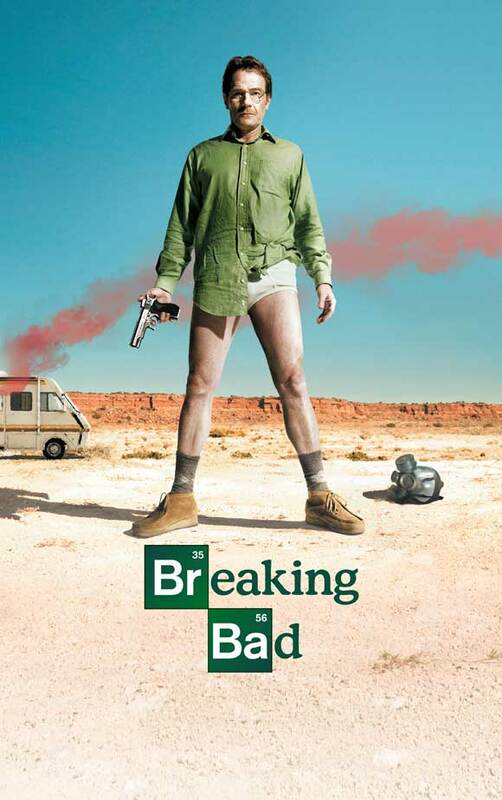 I just finished watching the first season of Breaking Bad, a story of Walter White, a struggling high school chemistry teacher, who has a teenage son with a physical disability and a pregnant wife. Oh yeah, he’s completely broke and in the first episode he is diagnosed with advanced lung cancer. Naturally, he turns to producing methamphetamines to secure his family’s financial future. The show’s tragic arc takes a Shakespearian slant if Shakespeare would have been a crack dealer. My favorite part of the show is the ending credits where the producers, Vince Gilligan and Mark Johnson, thank the Mayor of Albuquerque, New Mexico, Martin Chavez for his support. MAYOR: Let me say how excited I am that your production company wants to film on location in Albuquerque. JOHNSON: We are excited to be here. MAYOR: I’ve been brought up to speed, but I was hoping you could fill me in on the details. It is my understanding that this will be a television show about a married chemistry teacher. MAYOR: Who gets lung cancer. MAYOR: And being broke because he works for the school system, he turns to the production of methamphetamines to leave his wife, his physically disabled son and unborn daughter a financial nest egg in the wake of his demise. GILLIGAN: That’s the gist of it. MAYOR: So, in one season he goes from chemistry teacher to drug king pin. GILLIGAN: He also loses his hair. MAYOR: Right! So, this isn’t a comedy? MAYOR: You do know the manufacturing of methamphetamines is illegal. GILLIGAN: We do. That’s why the name of the show is called Breaking Bad. MAYOR: I see you have the actor, Bryan Cranston, in the lead role. JOHNSON: We do. We are excited to have him. MAYOR: Didn’t he play the dad in the show, Malcolm in the Middle? MAYOR: Now that was a funny show: mischievous kids, clueless father, on-the-ball mom… Whacky family. Zany stuff. MAYOR: But eventually could there be less meth and more family hijinks? GILLIGAN: We’re pretty sure meth will drive the story. JOHNSON: So, what do you think? MAYOR: Frankly, I have to say I’m a little concerned. MAYOR: Well, I’m a little worried that when it comes to TV shows this will be the only one set in our lovely town. And instead of it being a comedy or medical drama, it will capture an otherwise law abiding citizen in the middle of a crime spree. Also, I don’t want viewers in Davenport and Hartford equaling Albuquerque with meth. I don’t want our town motto to end up: ALBUQUERQUE: PUTTING THE METH INTO METHODIST. GILLLIGAN: We appreciate your predicament. But if we were going to do a family comedy, we would be currently talking to the mayor of Phoenix. MAYOR: Good point. Well, I have to say I’m looking at the financials and I’m pretty excited to have an in-house production facility in our community. I guess we all can’t be touched by angels. GILLIGAN: (LAUGHS) Well said, Mayor. MAYOR: Heck, I probably won’t win re-election anyway. Let’s do it. MAYOR: Maybe we’ll get lucky and nobody will watch it. I did and I really liked it. Well done Gilligan and Johnson. Sorry you lost your job Mayor Chavez.